I taught my final class today. I'm retiring after 40 years in the college classroom and 35 at the same college. So I thought I'd report back after all these years--mission completed if not accomplished. My curriculum vitae (and that has to take a special place in the Academic Phrases Hall of Fame. literature; modern British and American poetry. Uppsala University, Sweden: Fulbright Senior Lecturer, 1994. Johannes Gutenberg University, Mainz, Germany, 1980-81: Visiting Lecturer in American Studies. Unless otherwise indicated, the courses have been taught at the University of Puget Sound; courses are listed alphabetically. James Dolliver NEH Chair in Distinguished Teaching, English Department University of Puget Sound, 2008-2011. Dirk Andrew Phibbs Memorial Award, presented by the University Enrichment Committee, University of Puget Sound, 2006. President’s Award for Outstanding Teaching, University of Puget Sound, 2005. Distinguished Professor, University of Puget Sound, 2000-present. Burlington Northern Curriculum-Development Grant, University of Puget Sound, Summer 1999. John Lantz Fellowship, University of Puget Sound, 1996-97. J. William Fulbright Fellowship for Senior Lecturers, Uppsala University, Uppsala, Sweden, 1994. Burlington Northern Faculty Achievement Award, University of Puget Sound,1986 and 1989. Alumni Association's Citation for Excellence, University of California, Davis, 1989. Invited Participant, Matsushita Seminar in Modern American and Japanese Literature and Culture, 1989. Martin Nelson Sabbatical Fellowship, 1987. Teaching Award for Outstanding Graduate Students, U.C. Davis, 1982. Regents Fellowship, University of California, Davis, 1977-78. --Lifetime Member, Alumni Association, University of California, Davis. --Listed in the Directory of American Poets and Fiction Writers and Contemporary Authors, volume 43, new series. --Listed in the Poets & Writers directory (online). George Orwell’s “Politics and the English Language” in the Age of Pseudocracy. Written with William Haltom. New York and London: Routledge/Taylor & Francis, 2018. In the Routledge Series on Rhetoric and Composition. Clear a Place for Good: Poems 2006-2012. Tacoma: Congruent Angle Press, 2012. 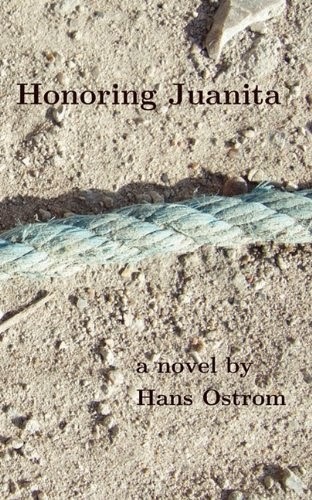 Honoring Juanita: A Novel. Tacoma, Congruent Angle Press, 2010. The Greenwood Encyclopedia of African American Literature. 5 volumes, 2,010 pages. Edited with J. David Macey. Westport and London: Greenwood Press, 2005. I also contributed 61 entries to the encyclopedia. They are listed below under Articles. The Subject Is Story: Essays for Writers and Readers. Edited with Wendy Bishop. Portsmouth, N.H.: Boynton Cook/Heinemann, 2003. This anthology for college students and teachers includes essays about narration in nonfiction writing, narrative aspects of rhetoric, and related topics. A Langston Hughes Encyclopedia. Westport, Connecticut, and London: Greenwood Press, 2002. 495pp. Sole author, except for 8 entries. Metro: Journeys in Creative Writing. (Lead Author.) Written with Wendy Bishop and Katharine Haake. New York: Addison Wesley Longman, 2001. This is a textbook for use in college creative-writing and advanced-composition courses. Genre and Writing: Issues, Arguments, and Alternatives. Edited with Wendy Bishop.Portsmouth, N.H.: Heinemann/Boynton Cook, 1997. The book is composed ofessays on genre-theory and on connections between writing-pedagogy and definitions of genre. I contributed a chapter in addition to co-editing the book. Colors of a Different Horse. Edited with Wendy Bishop. Urbana, Illinois:National Council of Teachers of English, 1994. The book is composed of essays about the influence of rhetorical and literary theory on the teaching of creative writing, especially in American colleges. Water's Night: Poems. With Wendy Bishop. Grass Valley, California: Mariposite Press, 1994. Lives and Moments: An Introduction to Short Fiction. Ft. Worth: Holt, Rinehart, Winston, 1991. The book includes eighty stories, with critical overviews, writing-assignments, and bibliographies. Three to Get Ready. Oakland: Cliffhanger Press, 1991. Novel. Spectrum: A Reader, co-edited. San Diego: Harcourt, Brace, Jovanovich, 1987. Leigh Hunt: A Reference Guide. Written with Timothy J. Lulofs. Boston: G. K. Hall, 1985. The book is an annotated bibliography of secondary sources, including contemporary reviews of Hunt’s work. 264pp. The Living Language: A Reader. Co-edited with Linda Morris and Linda Young. New York: Harcourt, Brace Jovanovich, 1984. “Hidden Purposes of Creative Writing: Self, Power, and Knowledge,” in Teaching Creative Writing in Higher Education: Anglo-American Perspectives, edited by Heather Beck. London: Palgrave, 2012. “The Audiences of Wendy Bishop’s Writing,” in Composing Ourselves As Writer-Teacher-Writers: Starting With Wendy Bishop, edited by Patrick Bizzaro and Alys Culhane. New Jersey: Hampton Press, 2011. “Rudolph Fisher,” in Scribners’ Contemporary Authors Supplement XIX edited by Jay Parini (Detroit and New York: Gale/Cengage, 2009), 65-80. “Tutoring Creative Writers: Working One-to-One on Prose and Poetry,” in Creative Approaches to Writing Center Work, edited by Kevin Dvorak and Shanti Bruce. New Jersey: Hampton Press, 2008, 147-158. “Teaching The Ways of White Folks,” in Teaching the Harlem Renaissance, ed. Michael Soto. New York: Peter Lang, 2008, Part II, Chapter 13, 137-144. “Langston Hughes,” in An Encyclopedia of Literature and Politics, edited by M. Keith Booker (Westport: Greenwood Publishers, 2005). “Masks of Revision,” in Acts of Revision. Edited by Wendy Bishop. Portsmouth, N.H.: Boynton-Cook/Heinemann, 2004, pp. 28-37. “Story, Stories, and You,” in The Subject is Story. Edited by Wendy Bishop and Hans Ostrom. Portsmouth, N.H.: Boynton-Cook/Heinemann, 2003. "Spiders, Flies, and Other Creatures of Reading’s Brave New World," in The Subject is Reading, ed. Wendy Bishop. Portsmouth, N.H.: Heinemann/Boynton Cook, 2000, 191-204. Co-written with Sarah Sloane, Wade Williams, and Teresa Giffen. "Elizabeth Bishop’s ‘The Fish,’" in a Reference Guide to American Literature, ed. Thomas Riggs. Detroit: St. James Press, 1999. "Langston Hughes’s ‘The Blues I’m Playing,’" in a Reference Guide to Short Fiction, ed. Thomas Riggs. Detroit: St. James Press, 1999, 770-771. "’Carom Shots’: Re-conceptualizing Imitation and Its Uses in Creative Writing Courses," in Teaching Writing Creatively, ed. David Starkey. Portsmouth: Heinemann/Boynton-Cook, 1998, 164-172. "Countee Cullen: How Teaching Rewrites the Genre of `Writer,'" in Genre and Writing (cited above under Books). "Grammar ‘J’ as in Jazzing Around: The Role Play Plays in Style," in Elements of Alternate Style, Elements ed. Wendy Bishop. Portsmouth, N.H.: Heinemann/Boynton Cook, 1997. "Letting the Boundaries Draw Themselves: What Theory and Practice Have Been Trying to Tell Us," co-written with Wendy Bishop, Cream City Review (volume 19, no. 2), Spring 1996. "Mary Morris: Riding the Iron Rooster" (profile of American travel writer Mary Morris and discussion of her book, Wall to Wall), San Francisco Review of Books 16.3 (Fall 1991), p.3. "Edward Moxon," Dictionary of Literary Biography: British Publishers I (DLB, volume 106) (Detroit and London: Gale Research Series, 1991). "Prelude: A Program for College Freshmen In Writing and Thinking," Washington English Journal 8, no. 3 (Spring 1986), 22-27. Co-author. "Samhain," in British Literary Magazines: The Victorian and Edwardian Age, 1837-1913. Ed. Alvin Sullivan. Westport: Greenwood Press, 1984, pp. 376-379. (Samhain was edited by W.B.Yeats). "New Poetry," in British Literary Magazines: The Modern Age, 1914-1984. Ed. Alvin Sullivan. Westport: Greenwood Press, 1986, pp. 284-286. "The Disappearance of Tragedy in Meredith's "Modern Love." Victorian Newsletter 63 (Spring 1983): 26-30. “Blake’s Tiriel and the Dramatization of Collapsed Language.” Papers On Language and Literature Vol. 19, no. 2 (Spring 1983), 167-182. "Pope's Epilogue to the Satires, 'Dialogue I'." Explicator, 36:4 (1978), pp. 11-14. Articles in The Greenwood Encyclopedia of African American Literature (5 volumes), edited by Hans Ostrom and J. David Macey (see under Books above), listed by volume number and page numbers. “Ralph Abernathy,” I, 1-2; “Lewis Alexander,” I, 20-21; “Jeffrey Richard Allen,” I, 23; “Regina M. Andrews,” I, 34-35; “William Andrews,” I, 35-36; “Allen B. Ballard,” I, 78-79; “Melba Patillo Beals,” I, 100-101;”Barry Beckham,” I, 106-107; “Charlene A. Berry,” I, 116; “Michele Andrea Bowen,” I, 171-172; “Jill Witherspoon Boyer,” I, 174; “Sharon Bridgforth,” I, 178-179; “Theodore Browne,” I, 208-209; “Louré Bussey,” I, 221-222; “Ben Caldwell,” I, 230; “Civil War, The [American] [and African American literature],” I, 235-237; “Frank B. Coffin,” I, 298; “Maud Cuney-Hare,” I, 382; “Julie Dash,” II, 390-391; “Bridgett M. Davis,” II, 396; “David Drake,” II, 448; “Drama” [African American], II, 448-453; “Erotica,” II, 505; “Federal Writers’ Project,” II, 531-532; “Patrice Gaines,” II, 605; “Hattie Gossett,” II, 646-647; “Bill Gunn,” II, 683; “Abram Hill,” II, 767-768; “Laurence Holder,” II, 783; “Elaine Jackson,” III, 829; “Mat Johnson,” III, 885; “Edward P. Jones,” III, 890-891; “Alain Locke,” III, 988-989; “Monifa Love,” III, “Memphis, Tennessee [and African American Literature],” III, 1077-1078; “Gertrude Bustill Mossell,” III, 1130-1131; “Heather Neff,” III, 1190-1191; “Rob[ert] Lee Penny,” IV, 1272-1273; “Charles Perry,” IV, 1279-1280; “Willis Richardson,” IV, 1399-1400; “Kimberla Lawson Roby,” IV, 1409; “Signifying,” IV, 1477-1479; “John Steptoe,” IV, 1540-1541; “Natasha Tarpley,” IV, 1563-1564; “Eisa Nefertari Ulen,” V, 1635-1636; “Olympia Vernon,” V, 1659-1660; “Persia Walker,” V, 1682; “Michele Faith Wallace,” V, 1683-1684; “Afaa Michael Weaver,” V, 1703-1704; “Cheryl I. West,” V, 1714; “Edgar Nkosi White,” V, 1726-1727; “Roy Wilkins,” V, 1737-1738; “John A. Williams,” V, 1746-1747; “World War I [and African American literature],” V, 1775-1778; “World War II [and African American literature],” V, 1778-1781; “Charles H. Wright,” V, 1782; “Charles S. Wright,” V, 1782-1783; “Andrew Young,” V, 1801-1802; “Shay Youngblood,” V, 1803-1804. Abbey, no. 99, “Stephen Spender,” “Story Problems”; no. 100, “Grief for the Number 10,” p. 80. Acorn, The #41 [El Dorado Writers’ Guild], 2004, “One Feather Shy,” “A Hod Carrier Reflects,” “Wren,” “Bears Waking,” and “Squirrels,” pp. 8-12. Arches (Alumni Magazine, University of Puget Sound; Summer 2003), "Emily Dickinson and Elvis Presley in Heaven" (invited reprint of the poem). Aurorean, The (Winter 2003-2004), “Request” and “Can’t Complain,” p. 20. Barbaric Yawp Volume 7, no. 3 (September 2003), “Story Problems,” p. 29. Blueline Volume XXV (2004), “Heat Stroke” and “The Son She Never Had,” pp. 148-149. Borderlines 34 (Anglo Welsh Poetry Society, Powys, Wales), Summer 2004, “Of the Valleys,” p. 39. California Quarterly (Summer 1980), "Sierra City, September." Cider Press Review Volume 4/5 (2004), “Jack Benny and T.S. Eliot In Heaven,” p. 38. Commonweal (October 10, 2003), “Orientation Meeting In the Afterlife,” p. 10. Connecticut River Review (Fall 1985), "Of A Beaver's Other Dam." Cream City Review (Spring 1988), "Paid Mourner" and "Sierra Nevada in March." Cutbank (Fall 1985), "Tornado in the Pennsylvania Hills." Dominion Review (Spring 1989, No. 7), "Freudian Cowboys of the Purple Sage," "Once I Saw A Sad Old God," and "Harmonica River,” 1-3. Edge City Review, The, #19 (Spring 2004), “Listless,” p. 43. From These Hills: An Anthology of California Writers, ed. Judith Shears. Corvalis: Castle Peak Editions, 1991. "Six poems." Harvest (Spring 1978), "Spider Killing" and "The Exiled Dead." In Tahoma’s Shadow: Poems From the City of Destiny, ed. William Kupinse and Tammy Robacker (Tacoma: Exquisite Disarray, 2009), “A Tacoma Sonnet,” p.93. Inside Poetry Out: An Introduction to Poetry, by John Hayden (Chicago: Nelson/Hall, 1983), "Calm and Fear" and "Spider Killing." Intro 10 (1979), "Sestina: Ellis Island/Amelia Earhart." Iris (Fall 1987), "Alicia's Affidavit" and "Funeral in Los Angeles." Kiss Off: Poems to Set You Free, ed. Mary D. Esselman and Elizabeth Ash Velez (New York: Warner Books, 2003), “Emily Dickinson and Elvis Presley in Heaven” (invited reprint of the poem). Laurel Review (Summer 1985), "In The Sierra." Leading Edge: A Magazine of Science Fiction and Fantasy # 47 (April 2004), “The Trafficiad,” p. 69. Love's Chance Magazine (Summer 2004), "Just Between You and Me." Lullwater Review: A Journal for the Literary Arts Volume XIV, no. 1 (Winter 2003-2004), “Mum Is The Word,” p.13. Medicinal Purposes Vol. II, no. X (Midyear 2004), “St. Petersburg, Russia,” p. 3. Möbius (forthcoming November 2003), "Interim Report" and "The Last Place." Nexus Volume 39, Issue 1 (Fall/Winter 2004), “Environmental Policy,” p. 53. New Delta Review (Spring 1985), "The Collector." Northern Review (Vol. 1, no. 2, Fall 1987), "Kiruna: New Year's Day." Offerings (fourth quarter, 2003), “Cup,” p. 25. Old Red Kimono, The, Volume XXIII, (Spring 2004), “Her Confession,” p. 47. Pablo Lennis (Spring 2000), "Whether Report." Pennine Platform [England] # 55 (May 2004), “God’s Predicament,” “Interior Design,” “Monastery, Monserratt,” pp. 6-7; 13. Perspectives: A Journal of Reformed Thought [published at Hope College, Michigan] (January 2004), “To War Again,” “Eligible,” p. 20; (February 2004), “Skylights,” p. 18. Plains Poetry Journal (July 1986), "Sierra City: April," "By Water," and "Alicia's Ceremonies." Ploughshares (Spring 1992), "Sierra Nevada: Cold Work Moment." Poetalk (Summer 2003) [Bay Area Poets’s Coalition], “Childhood: Sierra Nevada,” (Autumn 2003), “Aftermath,” p. 11. Poetry Northwest (Spring 1987), "From Another Part of the Forest." Poetry Nottingham [England] 58, no. 1(March/April 2004), “Söderfors, Sweden” and “Not Walt Whitman,” pp. 22-23. Pulsar (Ligden Poetry Society, Swindon, Wiltshire, England), “Self-Interview on the Subject of God,” p. 23. Rearview Quarterly, Volume 2, issue 4 (Winter 2003-2004), “Fable: Noah and Raven,” p. 17. Red Rock Review (Spring 2001), "On Finally Understanding the Notion of a Happy Hunting Ground" and "Panic Attack." Sierra Nevada College Review Volume 15 (Spring 2004), “Friendco,” p. 44. Something Understood (BBC 4 radio program), August 17, 2008, “For Librarians,” read by an actor. South Carolina Review (Fall 1985), "High School Football." South Dakota Review (Fall 1984), "Winter Nocturne." Sow’s Ear Poetry Journal Volume XII, no. 4(Winter 2004), “Nose,” p. 22. Sucarnochee Review (Fall 1989), "Elvis Presley and Emily Dickinson in Heaven." 13 Ways of Looking at a Poem, ed. Wendy Bishop (New York: Longman Publishers, 2000). "Elvis Presley and Emily Dickinson in Heaven" (invited reprint of the poem), "13 Ways of Looking at Wallace Stevens," "Prepositions for the Waitress, "This Is The Gazelle Gazalle," "Fortuitous Twos." Transcendent Visions (Fall 2003), 'The Quiet Child." Tulane Review (Spring 2004), “Bobby’s Crop,” p. 71. Washington Post (“Poet’s Choice” Column by Rita Dove), May 20, 2001, “Emily Dickinson and Elvis Presley in Heaven” (invited reprint of the poem). Wavelength #9 (Spring 2004), “Ludwig’s Dinosaur” and “The Cherubs, The Harbors,” pp. 19-20. Willow Springs # 53 (Winter 2004), “Bread and Bus: An Essay” [poem], p. 57. Wisconsin Review (Fall 1987), "The Day of Small Things," "Electrician," and "Composer in Exile." Xavier Review 23, no. 2 (Fall 2003), “Jean Toomer,” p. 46. First prize, Warren Eyster Competition, New Delta Review, 1985. "The Collector." (Poem). Second Prize, Redbook magazine's annual fiction contest, 1985 (announced in March 1986 issue). "Hostage in Residence" (Short story). Grand prize, Ina Coolbrith Memorial Awards (California), 1979. Judged by William Dickey. "Elegy for a Distant Relative." (Poem). First prize, Harvest Awards (University of Houston), 1978. Judged by Stephen Spender. "Spider Killing." (Poem). Third Prize, Third Annual Art of Music Writing-Contest, Sponsored by Piano Press (Del Mar, California), “Bobby’s Crop” (poem), 2003-2004. Susan Koppelman, ed. Women's Friendships: A Collection of Short Stories. Studies in Short Fiction 28, no. 2 (Spring 1991), 231-233. Carol Bly, The Passionate, Accurate Story. Choice: Current Reviews for College Libraries, March 1991. William Pritchard, Randall Jarrell: A Literary Life, Choice: Current Reviews for College Libraries, January 1991. Susan Lohafer and Jo Ellyn Clarey, eds., Short Story Theory At A Crossroads. Choice: Current Reviews for College Libraries, June 1990. "Gluck's Vision of Text and Textuality" (review of Reader by Robert Gluck), San Francisco Chronicle Review, March 4, 1990, p. 5. "Bones, Triggers, Continuous Dreams: Books on Creative Writing" (review-article on 12 books), Associated Writing Programs Chronicle, 22, no. 6 (May 1990), p. 1 and ff. George Lakoff and Mark Turner. More Than Cool Reason: A Field Guide to Poetic Metaphor. Choice: Current Reviews for College Libraries, February 1990. R.S. Hughes, John Steinbeck: A Study of the Short Fiction, Studies in Short Fiction, Volume 26, no. 1 (Winter 1989). "Small-Town Doubts in the Vietnam Era," review of Monoosook Valley by Elisabeth Hyde. San Francisco Chronicle Review, June 4, 1989, p. 8. John O. Hayden, ed. William Wordsworth: Selected Prose. New York: Penguin, 1988. Choice: Current Reviews for College Libraries (January 1989). Philip F. Deaver, Silent Retreats. Winner of the 1987 Flannery O'Connor Award for Short Fiction. Choice: Current Reviews for College Libraries (November 1988). "The Price of Sibling Rivalry," review of Born Brothers by Larry Woiwode, San Francisco Chronicle Review, September 18, 1988, p. 7. "Understated But Powerful Stories," review of Indecent Dreams, by Arnost Lustig, "Books," San Francisco Chronicle, June 1, 1988, p. E4. "Families Fraying at the Core," review of Valentino and Sagittarius, by Natalia Ginzburg, San Francisco Chronicle Review, May 8, 1988, p. 6. "A Mad Poet Who’s Not Going To Take It Anymore," review of Easter Sunday, by Tom Clark, San Francisco Chronicle Review, February 7, 1988, p. 3. Francis Blessington, Lantskip: Poems, Choice: Current Reviews for College Libraries (January 1988). Harold Orel, Victorian Short Fiction, Newsletter of the Victorian Studies Association of Western Canada (Volume 13, no. 2, Fall 1987). George Hillocks, Jr., Research on Written Composition: New Directions for Teaching, Washington English Journal (Spring 1987). Anne Blainey, Immortal Boy: A Portrait of Leigh Hunt, Victorian Studies Association Newsletter 37 (Ontario) (Spring 1986), 31-32. Richard Beach and Lillian Bridwell, New Directions in Composition Research, Washington English Journal 7, no. 3 (Spring 1985), 26. Suzanne Ferguson, Critical Essays on Randall Jarrell, American Poetry 2, no. 1 (Fall 1985), pp. 90-92. Lehman and Berger, eds. James Merrill: Essays in Criticism, American Poetry 1, no. 3 (Spring 1984), pp. 92-93. Michael Allen, We Are Called Human: The Poetry of Richard Hugo, American Poetry 1, no. 1 (Fall 1983), pp. 91-93. William Everson, Earth Poetry: Selected Essays and Interviews, Small Press Review (September 1980), p. 11. Twice-monthly column on the literary arts, Tacoma News Tribune, Tacoma, Washington. Sunday readership: 300,000. August 1990-November 1993. The column included pieces on Antonia Fraser, P.D. James, Aristeo Brito, Robert Bly, Rita Dove, John Haines, Gary Snyder, Charles Johnson, Itabari Njeri, Helen Washington, Stuart Dybek, Sue Grafton, Philip Appleman, Yevgeny Yevtushenko, Cristina Garcia, Coleen McCullough, Terry Tempest Williams, and others. The column combined author-profiles (based on interviews) with book reviews. “Revisiting Orwell’s ‘Politics and the English Language.’” With Professor William Haltom. Pacific Northwest Political Science Association Conference, Spokane, Washington, Fall 2010. “Teaching George Orwell in Karl Rove’s World: ‘Politics and the English Language’ in the 21st Century Classroom,” written and presented with Professor William Haltom, Western Political Science Association Conference, Vancouver B.C., March 21, 2008. “Langston Hughes and the Poetry of a Dream Legally Deferred,” Law and Society Association Annual Conference, Humboldt University, Berlin, July 2007. “Teaching Langston Hughes’s The Ways of White Folks,” brief presentation for a Roundtable Discussion on “White Scholars, Black Texts,” National Conference on Race and Pedagogy, University of Puget Sound, September 15-16, 2006. “Langston Hughes and the Politics of Rhetorical Accessibility,” Conference on College Composition and Communication, San Francisco, 2004. Moderator, panel on “Langston Hughes and the Critics,” Let America Be America Again: An International Symposium on the Art, Life, & Legacy of Langston Hughes, University of Kansas, Lawrence, Kansas, February 2002. "`Imagination’ and Writing in the Disciplines," paper given at Conference on College Composition and Communication, Minneapolis, March 2000. "Keeping the Personal Ghost in the Machine of Academic Writing," paper for panel on "Voices in Scholarly Writing: Reflections and Complications," Conference on College Composition and Communication, Phoenix, March 1997. "American Literature Of The Region, For The Region, and By The Region," lecture for seminar in American Studies, United States Embassy, Stockholm, Sweden, April 1994. "African-American Literature from Douglass to Morrison: Some Key Challenges and Achievements," lecture at University of Umeå, Sweden, sponsored by the Swedish Fulbright Commission, Spring 1994. "Round Up The Usual Suspects: American Crime Fiction," presentation to the English Society, Uppsala University, Sweden, Spring 1994. "Langston Hughes's Short Fiction: Against the Modernist Grain," guest lecture in Professor Rolf Lundén's graduate seminar in American literature, Uppsala University, Sweden, Spring 1994. A revised version was presented at the 1995 MLA conference, Chicago. "Reconsidering Genre-Boundaries," paper given Modern Language Association Convention, Toronto, 1993. Co-designer and co-presenter, post-convention workshop on the teaching of creative writing theory and practice, Conference on College Composition and Communication, Cincinnati (March 1992) and San Diego (March 1993). "Surviving to Write and Writing to Survive: The Complex Case of Langston Hughes," paper given at Conference on College Composition and Communication, Cincinnati, March 1992. "Designing a Writing Course,” paper for panel on "A Case Study of a Successful Student Writer," National Council of Teachers of English 81st annual convention, Seattle, November 1991. "Film Criticism as Autobiography: James Baldwin's The Devil Finds Work," paper given at Conference on College Composition and Communication, Boston, March 1991. Chair, panel on "American Literary Journalism," Conference on College Composition and Communication, Seattle, March 1989. "Writing in the Pacific Northwest," colloquium and reading (with Madeline De Frees and Joan Swift), St. Martin's College, Lacey, Washington, Spring 1987. Berkeley, California (KPFA Radio); Davis, California (KDVS); Ragdale Artists Colony (Lake Forest, Illinois); "Across the River" Reading Program (Oregon and Washington State Arts Commissions); Tacoma Art Museum; "Distinguished Poets Series," directed by Laura Jensen, funded by a Lila Wallace Foundation/Reader’s Digest grant, Tacoma, 1997; University of Puget Sound Faculty Club, 1998; Art Gallery, Pacific Lutheran University, at the opening of “Apertures,” an exhibit featuring the photo-collages of Betty Ragan and poems by Hans Ostrom, April 3, 2001; Lawrence High School and Centennial Elementary School, Lawrence, Kansas (February 2002), as part of an outreach program connected to “Let America Be America Again: An International Symposium on the Art, Life, & Legacy of Langston Hughes,” hosted by the University of Kansas; Center for Contemporary Art, Seattle (with Bill Kupinse), Spring 2006; Peninsula Book Group, Gig Harbor, Washington, 2006; Western Literature Association Conference, Tacoma, Washington, Fall 2007; Daedalus Society, University of Puget Sound, April 2008; Tacoma Public Library, reading in connection with the publication of In Tahoma’s Shadow: Poems From the City of Destiny, ed. William Kupinse and Tammy Robacker (Tacoma: Exquisite Disarray, 2009); Poetry in Hard Times, poetry reading at the Washington History Museum. Web Log: http://poetsmusings-muser.blogspot.com/ . This features posts on poetry and on topics of general interest. I also post drafts of poems, and I post poems by others (public domain) and comment on them. @ 900 posts as of October 2009. “Diversity and the University of Puget Sound,” Advice to New Students: 2008 Orientation, edited by the Prelude Committee, University of Puget Sound, pp. 8-16. Subsequently printed online. “Hans Ostrom Papers 1978-1992 [and ff. ],” Department of Special Collections, Stanford University Libraries, Stanford, CA 94305 SPEC-COLL CALL NUMBER 1) M1713. Includes incoming correspondence from Associated Writing Programs/David Fenza; Bishop, Wendy; Bly, Robert; Bryan, Sharon; Conoley, Gillian; Conroy, John; Davies, John; DeFrees, Madeline; Dove, Rita; Gallagher, Tess; Hammer, Andrea; Hayden, John; Hotchkiss, Bill; Hyde, Elisabeth; Mailer, Norman (to Lloyd Van Brunt); Redbook Short Story Prize; Runciman, Lex; Shapiro, Karl; Spender, Stephen; Thornberg, Newton; Van Arsdel, Rosemary; Wagner, Esther; Wiley, Richard. Catholic Campus Fellowship (student-run organization); and Blues/Swing Dance Club (student-run), current. Member, University’s Budget Task Force, 2008-2010. Appointed by the President. Chair, Department of English, 2004-2007. Member, Faculty Senate, University of Puget Sound, 2006-2009 (elected position). Chair, Faculty Senate, University of Puget Sound, 2001-2003 (elected position). Co-Founder and Co-Director, African American Studies Program, University of Puget Sound, 1995-2003. Chair, Board of Trustees, Seabury School, Brown’s Point, Tacoma, Washington, 1999-2000. Member, President’s Committee on Diversity, 1990-91. The Committee was responsible for producing a comprehensive strategic plan for diversity at the University of Puget Sound. The report was presented to the Board of Trustees in Spring 1991. Co-designer and co-director of Prelude, a first-year orientation program involving critical thinking (1985; 1986). Founding Director of the Writing Center, University of Puget Sound, Tacoma, Washington, 1984-86. Assistant Director of Composition and Director of the Campus Writing Center, U.C. Davis, Davis, California, 1982-83. Member, Academic Standards Committee; Diversity Committee; Library and Media (academic technology) Committee (various times), University of Puget Sound. Member (1990-present), Editorial Board (involves reading of manuscripts), Writing on the Edge (academic journal), published at the University of California, Davis; manuscript reviewer for Journal of Advanced Composition and College English (intermittent); proposal-reviewer, stages I and II, for the national Conference on College Composition and Communication (Minneapolis, 2000; San Antonio, 2004); invited outside-reviewer in tenure-evaluations, Boise State University, Florida State University, Indiana University/Purdue University at Fort Wayne, Loyola University, Miami University (Florida), and others; manuscript reviewer for Boynton-Cook/Heinemann, an academic publisher specializing in books about composition, rhetoric, and pedagogy (Summer 1999); manuscript reviewer for a composition/rhetoric book submitted to Utah State University Press (Spring 2003); proposal-reviewer for an anthology of detective fiction, Oxford University Press; manuscript reviewer for the Publications of the Modern Language Association (PMLA), twice; book-prospectus reviewer (composition text) for Cengage Learning/Wadsworth Publishers. Cafeteria Server and Dishwasher (U.C. Davis, 1973-75); Carpenter’s Assistant, Summers, 1973-80; Editor (Office of the Auditor General, California State Legislature, 1981-82); Grocery-Store Worker, Summer 1971; Hod-Carrier and Mason’s Assistant, Summers (1973-80); Laborer, Gravel Pit (Summers, 1971 & 1972); Resident Assistant, Dormitory, Sierra College (1972); Sports Stringer/Freelancer (1971-73), weekly and daily newspapers (reported scores, wrote news articles).